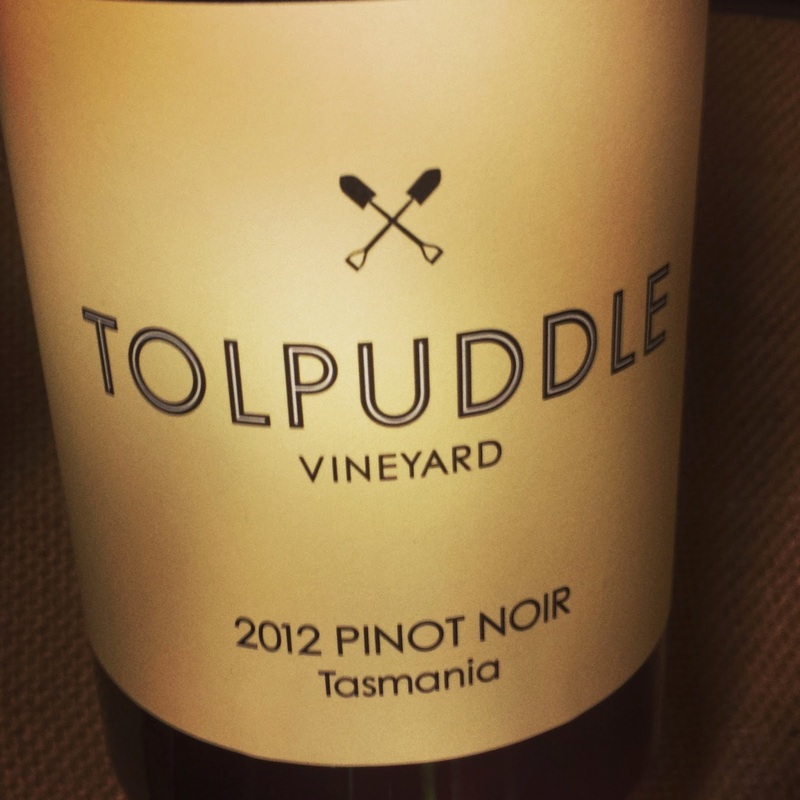 I came across Tolpuddle at the Tasmania Unbottled tasting in Brisbane and right away noticed that the table contained only two wines for tasting, a Chardonnay and Pinot Noir. It turns out Tolpuddle have decided to stick with two wines and do them really well. In this they have most definitely succeeded. The vineyard was planted in the Coal River Valley in 1988 and was recently purchased by Shaw and Smith. Tolpuddle takes it's name from a group of English convicts sent to Tasmania for forming an agricultural union. The nose offers some ripe cherry aromas as while as some green herbaceous notes from the inclusion of some whole bunches. A very silky pinot with very little tannin and mild acidity. Has just the right amount of whole bunch included for my tastes and is already drinking quite well. Produced from fruit from their Braemore Vineyard in the Hunter Valley, this wine was bottled in 2009 and only released this year. Aromas of lemon and buttered toast. Great precision and varietal expression. A spectacular Hunter Valley Semillon, likely to improve for many years, but already fantastic. Next time I try this I hope it's withh scallops in a brown butter sauce. Sure to be magic. Indian food seems to match rose better than any other wine I've tried yet. Friday nights, after a big week of work, seem to also pair quite well with Indian takeaway. 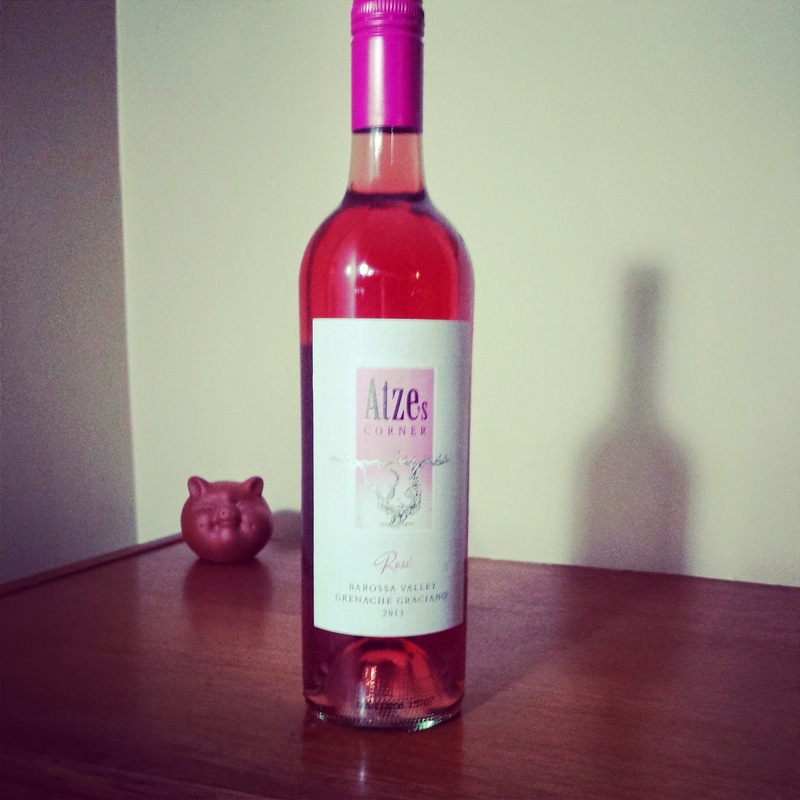 So tonight I tried the 2013 Atze's Corner Rose along side a lamb rogan josh and chicken tikka masala, and it was great. Opens up with a big wiff of strawberry and a touch of pineapple and rose water. Slightly sweet with fairly low acidity, which held up well with the Indian food. Grenache Roses have definitely found a spot on my wine rack. Austins have been producing pinot noir in the Geelong region of Victoria for the past 30 years. Six Foot Six is their entry level range and takes it's name from escaped convict and local folk hero William Buckley, who settled among an indigenous tribe in the Geelong region. William was an impressive six foot six inches tall. This far exceeded my expectations for a $20 pinot noir. A perfumed fruit forward nose displays hints of maraschino cherry with some earthy, savory notes. Nice soft tannins are well integrated with a good level of acidity for drinking young. An easy drinking great value pinot, perfect for an everyday tipple. Share with friends and don't decant. This wine doesn't hold up well with much oxygen. A friend of mine has been talking a lot about Tasmanian Riesling lately and I'm starting to see why. This Riesling from Andrew Pirie in the Tamar Valley is absolutely delicious. I gave this a swirl and right away was impressed with the flowery nose. Almost reminded me a bit of a Sauvignon Blanc, but without any trace of passionfruit or gooseberry. There was a great minerality to this wine with nice steely acidity that gave it great balance. I plan on grabbing half a case of these for my new wine fridge and watching them develop over the next few years. This offering from Picardy is definitely one of the best Australian Chardonnays I've had yet. The winery takes it's name from a region slightly above Paris and the influence of France's Burgundy region is very evident in this wine. The vines at Picardy are unirrigated cane pruned and hand picked. Resulting in lower yields of wonderfully high quality fruit with great intensity. I could sit and smell this wine all day long. I get peach pear and buttered toast. It has nice fresh acidity and is well balanced and precise. I had a second bottle recently from my case, but hope to resist the temptation of drinking the rest this summer, so I can see how this wine develops. I've decided to taste varietals or regions I haven't tried before this weekend. Was a good weekend to do so as two of Brisbane's best wine merchants, Craft Red Hill and Wine Experience, had some really interesting and unusual wines on for tasting. One that really caught my interest was a 2011 Carchelo from Jumila, Spain. Nice fruity nose with notes of blueberries, anise and maybe tobacco. Great soft tannins and generally a very juicy wine. Nice light oak treatment makes this a very drinkable wine and allows for great expression of the fruit. I'll be testing this out over the next few weeks, but I'm betting this is a real crowd pleaser.